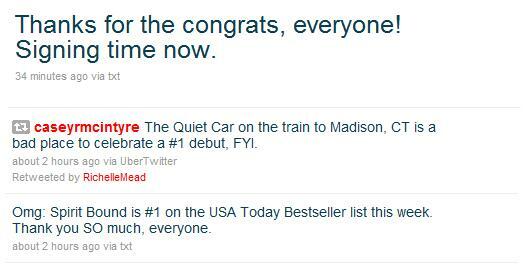 Spirit Bound #1 on USA Today Bestseller List! 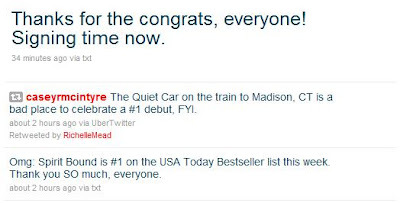 Wonderful news from Richelle Mead on twitter! Spirit Bound is #1 on the USA Today Bestseller list this week!!! I haven't managed to find a list online yet, but I think you'll be able to see it on the USA Today website, here, as soon as the list is updated for the week through Sunday May 23.